Badgers are elusive wanderers of the night and few mammals are as mysterious. 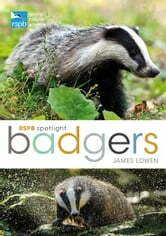 Their nocturnal lifestyle meansnot many of us have ever glimpsed their monochrome form as they sniff and bustle their way through woodland or across pasture – yet most of us live far closer to a Badger group than we might think. 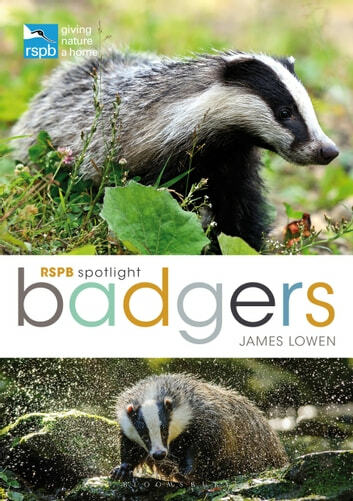 In Spotlight: Badgers James Lowen explores all aspects of their lives including their communal living, feeding habits, as well as the major threats to and conservation support for Badgers. These iconic omnivores are widely represented in folklore and have permeated our popular culture. Generations of children have been entranced by Badger in Kenneth Grahame's book Wind in the Willows, however these determined yet mostly peaceful animals have also been loathed and persecuted for centuries. Badger baiting is thankfully now illegal, but the legal badger cull introduced in 2011 in parts of Gloucestershire and Somerset remains in place following the 2015 general election.